Apple’s iPhone is one of the greatest discoveries ever in the history of the world of technology. Surely, iPhone is regarded as the best smartphone to hit the phone market. iPhone users cannot think of using any other phone once they’ve gotten used to this device. iPhone is equipped with incredible features except for its short-lived battery. 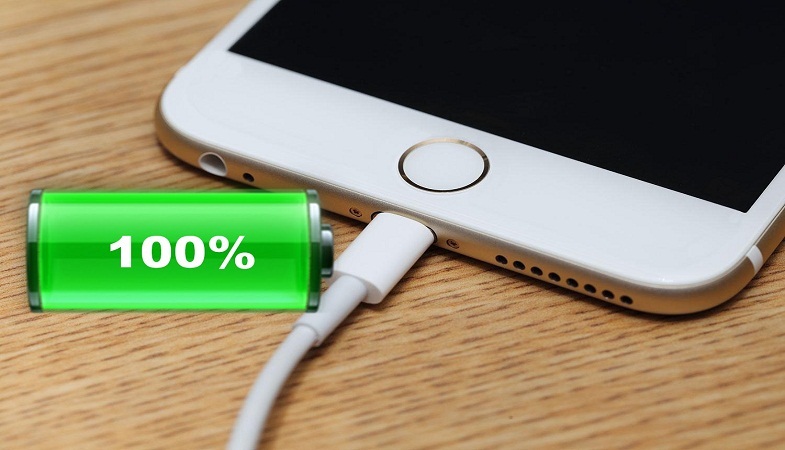 Every iPhone user must have experienced a moment of panic at some point or the other when their device runs out of battery all of a sudden, leaving them with no option of fast-charging. Yes, you heard that right. Unlike Android phones, iPhone does not support a fast charging technology. When iPhone’s battery is depleted, it cannot charge quick enough. Fortunately, a workaround is available for the users. There are some ways in which a user can charge iPhone faster. How to Charge iPhone Faster? Turning on the Airplane Mode has proved to be an efficient tip in charging an iPhone faster. By doing this, you will be able to prevent your iPhone’s battery from getting depleted since it will be no longer waste itself searching for cellular or Wi-Fi network signals. Hence, it will charge faster. Have you ever wondered what else could be better than setting your iPhone in the Airplane Mode? Well, turning it off entirely. When you turn off your phone and plug in the charger, the phone won’t be able to use any energy in any other task, hence all of the charging goes straight to your battery. This way, it will be charged really quickly. This may sound a bit strange but removing the case from your iPhone can actually help it in getting charged quickly. It is important to understand that iPhones require a right temperature to charge up efficiently. If you charge the device while they’re enclosed in a certain style of case, excess heat may generate which can affect the charging capacity of the battery. Therefore, it is advised to remove the case before you plug in the charger. Apple has clearly given instructions as to keeping the iPhone device at the right temperature. When the device is exposed a temperature higher than 95° F, the battery capacity of the device can get permanently damaged. On the other hand, if the battery remains in a cold environment, the charge time of the device starts decreasing. Though this change is only temporary and the device will return to its normal range as soon as it warms up. Therefore, it is important to keep the device at the optimal temperature. Apple suggests using an iPad USB power adapters or third-party USB-C power adapter to charge an iPhone instead of the regular iPhone charger. Though the newly released iPhone 8, iPhone 8 plus as well as iPhone X support fast charging, the company still recommends using a comparable third-party USB power adapter as long as it is certified for USB Power Delivery. Normally, iPhones come with a 5-volt charger whereas iPad with a 5.1 volt charger. Thus, the iPad chargers are suitable for charging your iPhones rather quickly.